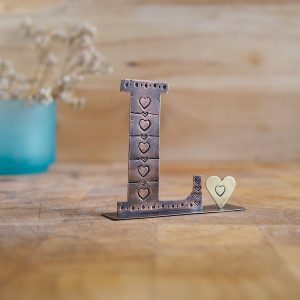 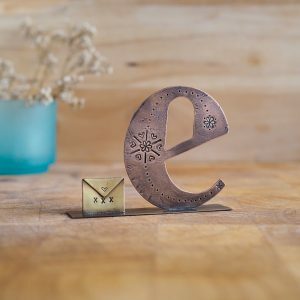 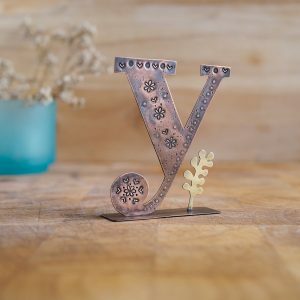 Made from flattened recycled copper plumbing pipes and industry offcuts these small stand alone letters are hand cut and stamped with decorative details. 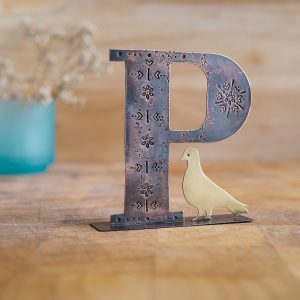 They are accompanied by little brass embellishments – objects and items that begin with the letter they stand beside. 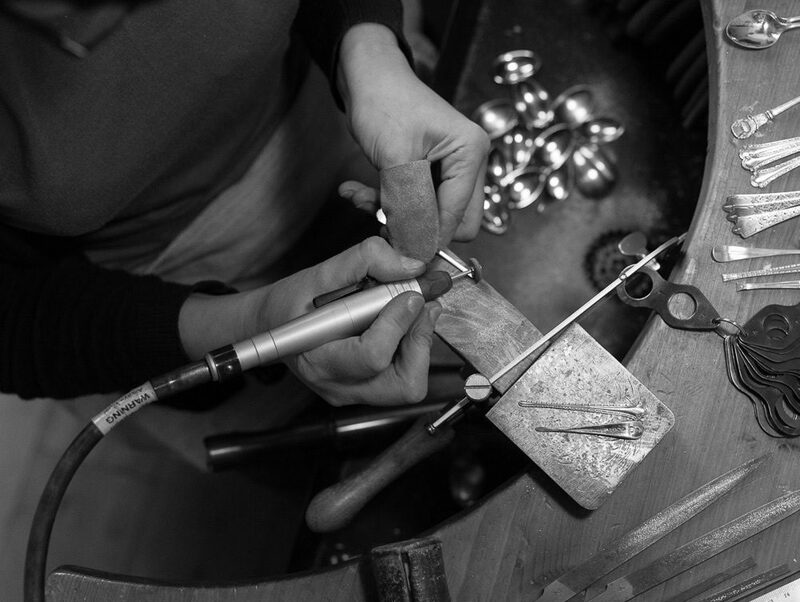 I take commissions and happy to work to bespoke requests.